The Empowerment Project has been away too long, but here is a burst of beauty to get us back on track. This is only one of many gorgeous, layered pieces by Crystal. I love how her work draws you in and makes you want to dig deeper, and the colors in this are perfect for the seasaon we're entering, don't you think? The dreaminess of the composition pairs provocatively with the thoughtfulness of the pose, telling a story with just one word: Dream. Thank you so much for letting me share your amazing work, Crystal! That is really a beautiful picture...would make a wonderful poster too! This is beautiful. I love all of the layers. At first I saw the middle version of the figure and then my eye drew out to the version beyond her. As I looked closer, I saw the figure inside too. 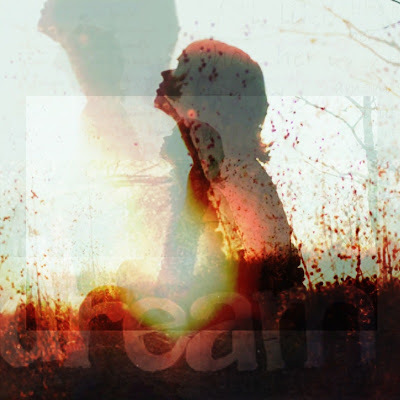 I love how it seems to say that dreaming requires both an outward and inward focus. It's lovely!